St. Louis is among the teams that aren't satisfied with how things have started - and are reportedly "open for business" on the trade front. Among the names they've been asked about: youngsters Robert Thomas, Jordan Kyrou and Jake Walman, while Colton Parayko finds his name in the rumour mill as well. Detroit's Jimmy Howard is believed to be high on their wishlist - that is, if the Red Wings aren't able to sign him to an extension first. With Jake Allen once again struggling in the Blues crease, management appears ready to make a change. The goalie rumour mill has started to heat up elsewhere, with two teams many thought were satisfied with their situations heading into the year - Edmonton and Pittsburgh - supposedly open to making a trade. 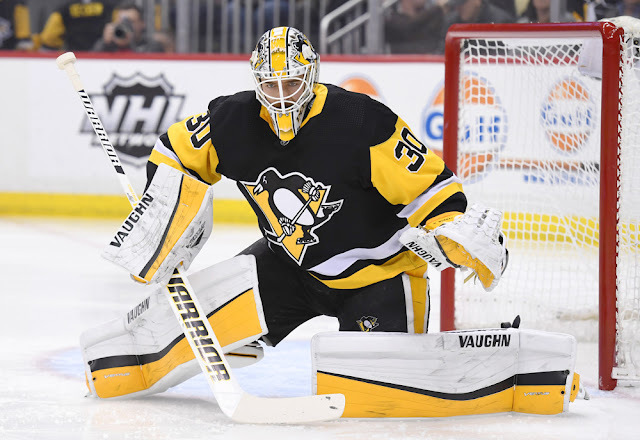 Pending UFA Cam Talbot could be on the way out of Edmonton after a rough start, while Pittsburgh may be looking for an alternative to the inconsistent and often injured Matt Murray. Jimmy Howard has been brought up as a possibility for Pittsburgh as well. And how does Sergei Bobrovsky fit into all of this? The pending UFA netminder has thus far refused to sign an extension in Columbus, and could very well be on his way out before the trade deadline. It's not an easy decision for GM Jarmo Kekalainen, whose team currently sits 2nd in the Metropolitan division. Lots of rumours of an impending deal have been swirling on the William Nylander front - but reports suggest both sides are intent on dragging this right up until the deadline. It's believed the Leafs have circled back to ask teams for their best offers on Nylander - a list of teams that's rumoured to include the Ducks, Rangers, Hurricanes, Wild, Panthers, Flyers and Kings. Pen must go to paper before 5:00 PM ET this Saturday, otherwise Nylander won't be able to play in the NHL this season.